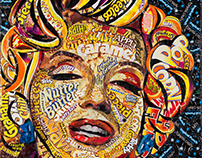 "Wrapper's Delight" is my newest series, using torn, cut, and expired candy wrappers to render my subjects in diverse and colorful forms. 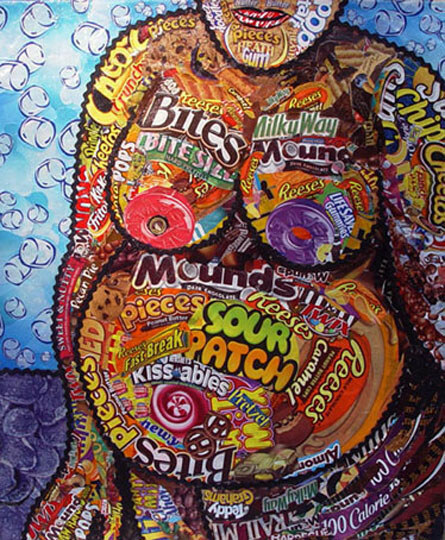 My work is inspired by food and the carnal delight of candy, in which gluttony is given a new, humorous, and often playful, meaning. 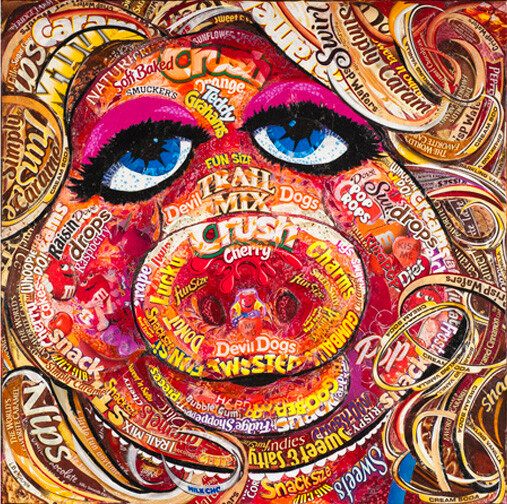 My subjects are celebrities and pop-culture objects including Michael Jackson, Jack Nicholson, and Miss Piggy, rendered with a focus on form, light, and pattern, that helps to enhance whimsical movement. 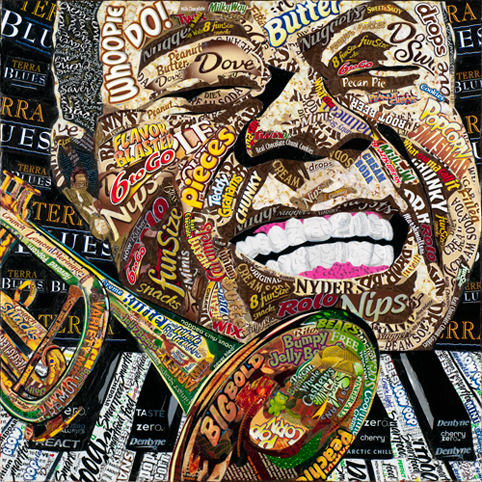 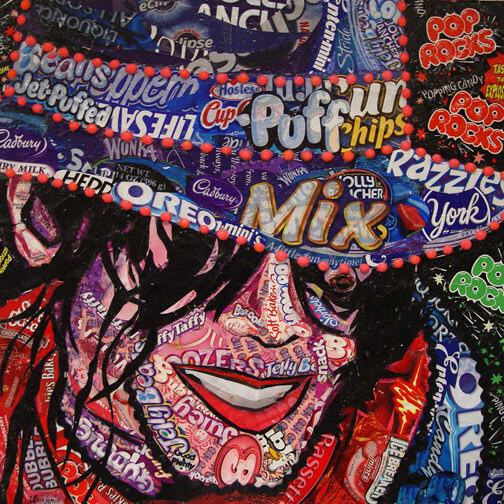 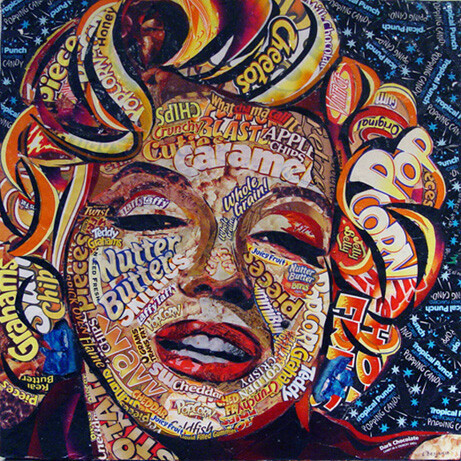 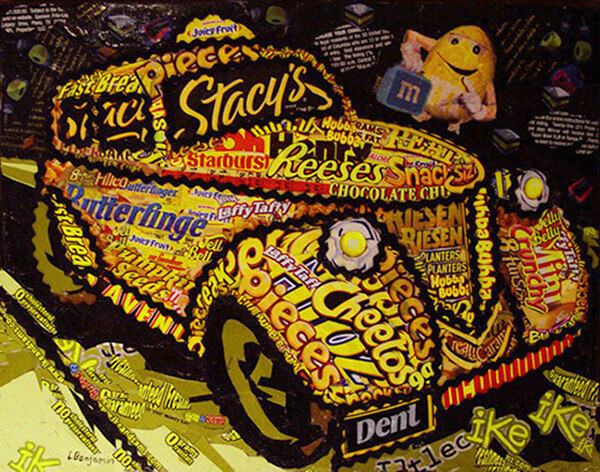 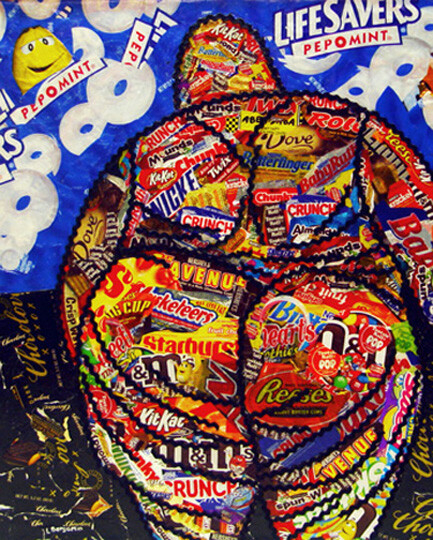 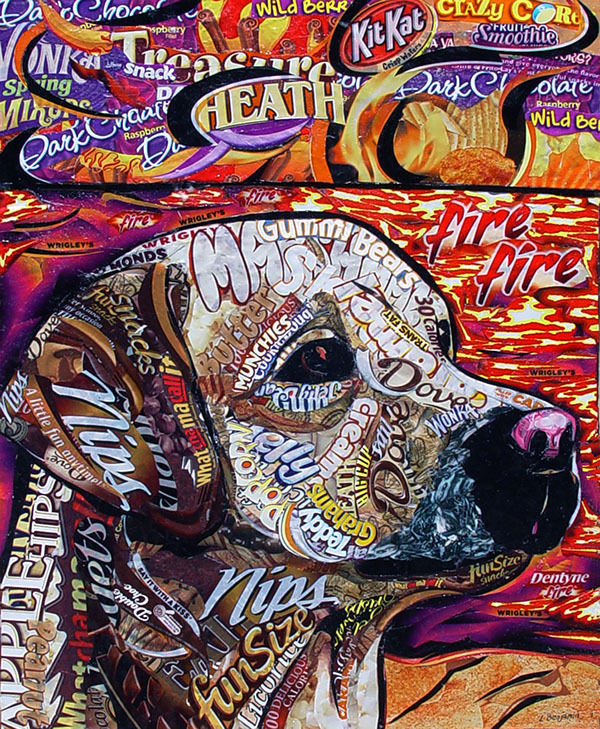 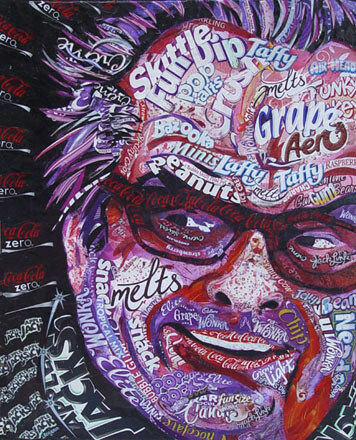 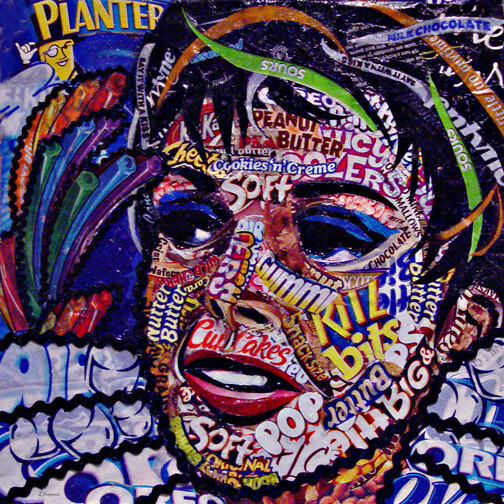 The physical wrappers serve the color scheme of the collage subject and the "candy names" also comment on the particular subject they are portraying. The result is a nuanced iconography that is visually exciting and provocative.